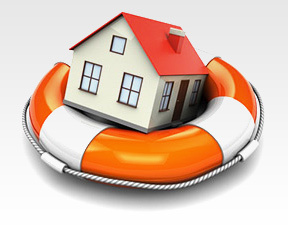 What is home insurance and why do you need it? When protecting your home and personal property, one of the first things you should think about is insurance. Although it is not mandatory, insurance for your house and for the other important things in your life is advised, and can be a life saver in case of a disaster or accidents that may cause a lot of damage. Purchasing home Insurance is the best way to secure your peace of mind and when the unexpected happens, you will be covered. There are many companies that offer insurance schemes, and in this article we are going to detail upon Barclays Home Insurance scheme as an example. Buildings insurance covers the structure of your property and this is this type of insurance that many mortgage lenders will require that you have. The main intention with this type of insurance is to make sure that, should the worst happen, you will have the funds to rebuild your house. Some plans have exclusions, meaning they will not cover damage caused by burst pipes, storms, floods, and other disasters. You should make sure to purchase a plan that covers for all of these events to get the best level of coverage. Buildings insurance is different from other types of home insurance in that the amount of coverage is not the market value, but the rebuilding cost. In order to avoid being short-changed in the event of an accident, you should work with a surveyor to get the best estimate of the rebuild value of your home.You should also make sure that your plan covers the cost of alternative accommodation in case you are not able to live in your damaged home. Barclays Home Insurance has plans that cover all of the issues listed above, making them an excellent option for securing your assets. Contents insurance is an option offered by Barclays Home Insurance that allows policy purchasers to make claims against the contents inside your home,providing another level to your home insurance. The basic package for this type of policy covers lost, stolen, or damaged possessions, including damage caused by removal companies and items that are very valuable, such as jewelry or antiques. It also covers the replacement of locks and keys if they are stolen or lost, with the expenses being compensated under the Barclays Home Insurance policy. Additionally, this policy can cover options such as coverage of legal expenses should you need to engage in a legal dispute because of damaged items. Barclays Home Insurance offers paperless claims notification and a 24/7 claims phone line, ensuring that you are never far away from some peace of mind. Of course, these two different types of insurance don't have to be bought separately. To get the ultimate level of coverage from Barclays Home Insurance, you can purchase buildings and contents insurance together in one package. Doing this can allow you to get a great deal on both of these types of cover. There are also other types of specialist coverage from Barclays Home Insurance that may be necessary and helpful for you. This includes protection for landlords, students, high value homes, listed buildings, and those who choose to build their own homes. Landlords can buy insurance for the property's that they are renting out in order to protect them from loss of rent, legal fees, and the danger of property owner's liability. Students can get coverage from Barclays Home Insurance for things, like books, tenant liability, computers, and all sorts of other items that are necessary for the accomplishment of their educational goals. Those whose homes are more expensive can also buy insurance from Barclays Home Insurance. Their next-level plan provides more extensive coverage and protection for homes with a larger value. Those who own a listed building, of which there are thousands in the United Kingdom, would do well to purchase specialist coverage from Barclays Home Insurance. These buildings can be very expensive to repair if disaster strikes, so it is very important to have the best coverage possible. The special plan offered by Barclays covers the additional cost of special repairs and is an excellent option for those with listed buildings. Homebuilders can also benefit from Barclays Home Insurance. There are special plans offered that cover the particular risks involved in building a home. It can cover such things as injuries for contractors working on the home or fees for legal disputes, should they arise. Barclays Home Insurance provides the best options for homeowners who want to get the best coverage for the things they hold dear.